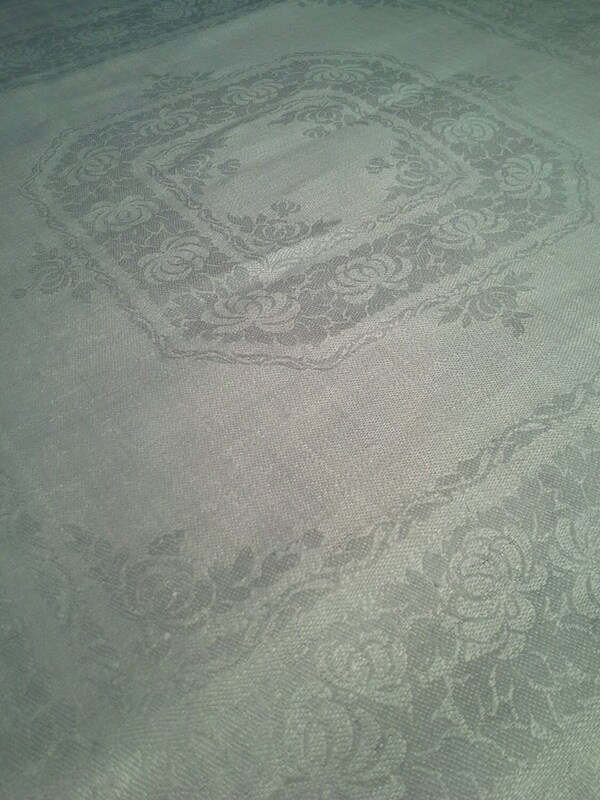 This wonderful vintage 100% linen napkin fabric is most likely from about the 1920's to 1950's. These napkins were purchased as yard goods and they would then be cut apart (there is a woven "cutting" line between each napkin) and the cut ends would be hemmed. 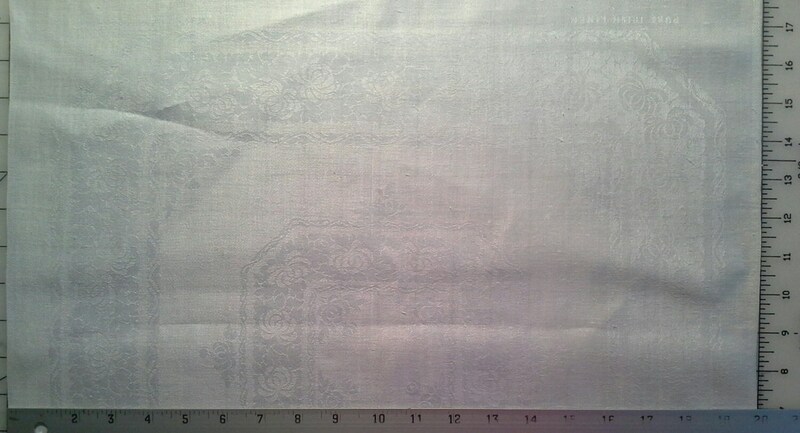 The linen is 6.5 yards long (234 inches or 594 cm) and has a total of 11.5 napkins. The napkins feature a woven chrysanthemum pattern. Each napkin is 20 x 20 inches (50.8 cm x 50.8 cm) in size. The napkins had a paper label that stated "100% Pure Linen". 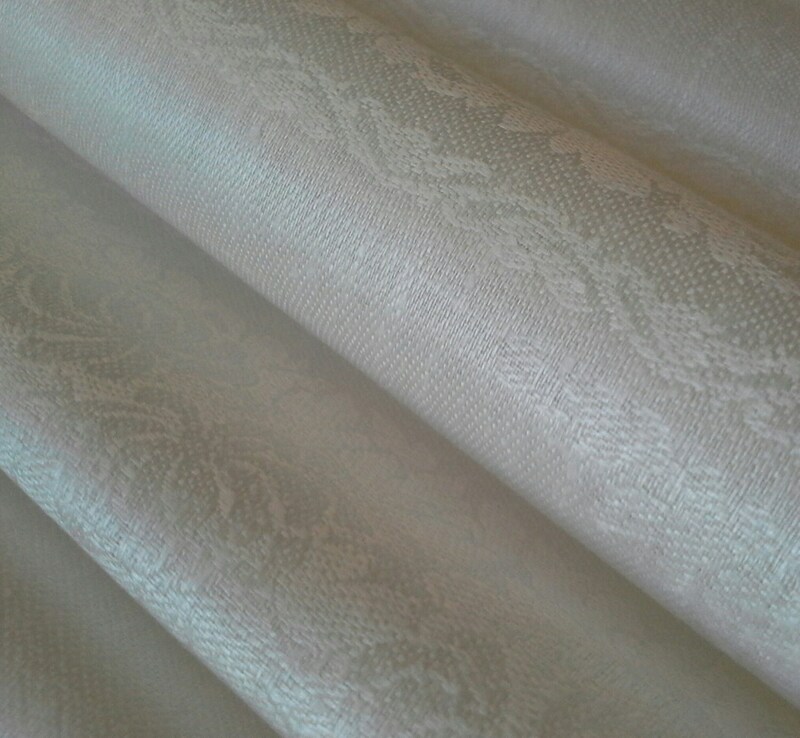 The words "Pure Irish Linen" are woven into each napkin, near the bottom of the napkin. I did not see a maker's mark. 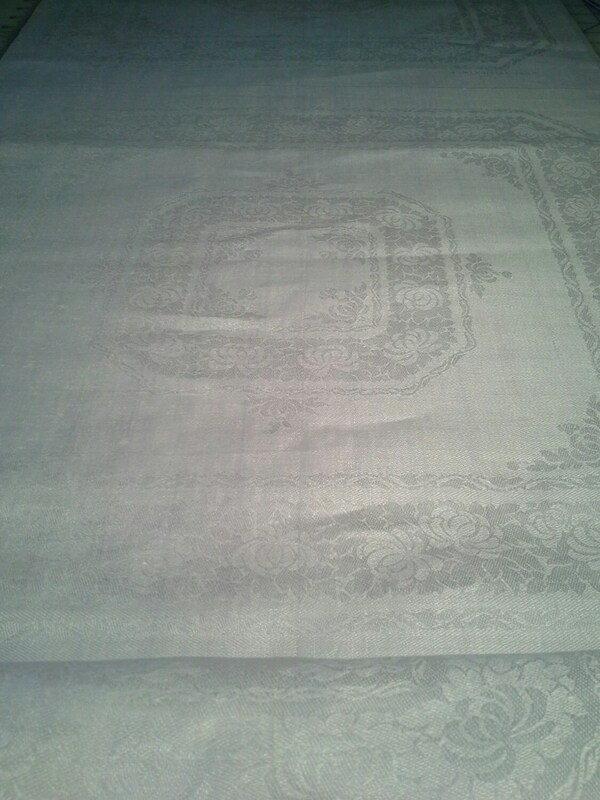 The linen is very clean and white for its age but one napkin has some yellow staining. Another napkin has a small (dime sized) faint pink spot. There is also a yellow age line running down the center of the yardage (see last picture). This yellow line is very faint and not even visible on a number of the napkins. I did hand launder the fabric but I did not bleach it. Bleaching the fabric may remove these spots. The linen is cool, crisp and has a wonderful sheen but it does have a number of natural slubs so it is not as smooth as higher quality linen. These beautiful napkins could be used as a table runner, curtains or cut apart and be used as napkins or beautiful throw pillow cases. 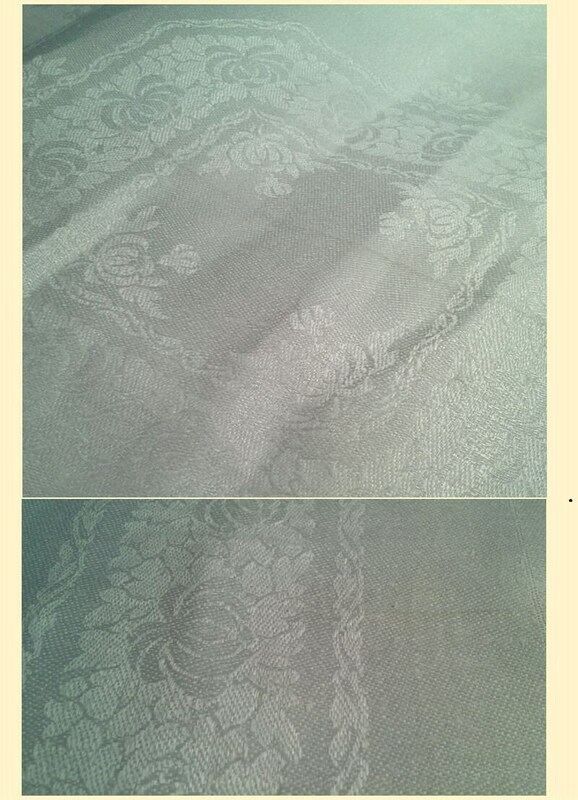 The linen can easily be dyed to match any decor.